2018 GMC Sierra – What can you expect from the new 2018 GMC Sierra? You must know that the new model doesn’t get any big changes. The good news is that it doesn’t really need any. The new GMC Sierra which also shares its design with Chevy Silverado is known as for its power when it comes to towing. In other words, the new GMC Sierra is a luxurious truck that you shouldn’t miss in 2018. What is New for 2018 GMC Sierra? Well, as we have said earlier that the new GMC Sierra is unchanged. But we can expect that it comes with lots of configurations and options, thus deciding which options that you want to choose can be quite confusing. The new model is also available in three engines with multiple body configurations. What we have realized is that the new GMC Sierra is as any customizable as any full-size truck that you can find out there. Using the right configuration, you will be surprised how powerful the car is as it can tow more than 12,000 pounds. While you think that 2018 GMC Sierra only focuses on power, you should know that it also comes with a long list of safety and luxury features. Buyers can enjoy all luxury and safety features offered by this new car. The most favorite choice is the SLT which is powered by a 5.3-liter V8 engine. 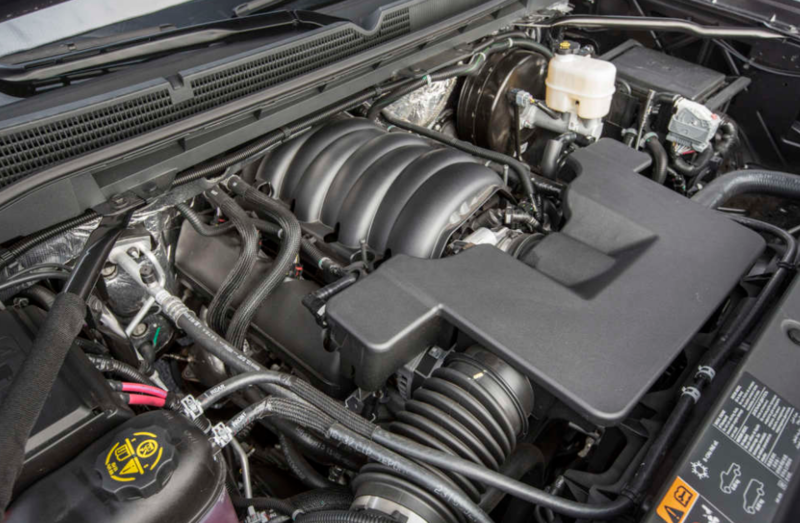 If you want more power, then you can choose a 6.2-liter V8 engine. However, you shouldn’t choose the optional 22-inch wheels as they are known to cause a detrimental effect on the ride quality. 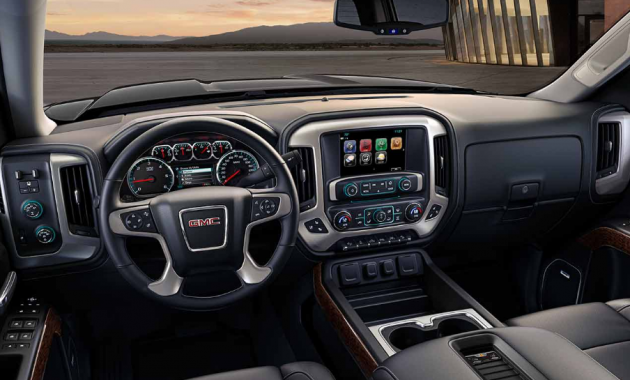 Other trim levels that you can choose are the base, SLT, SLE, and Denali. All of these trim levels are available in various bed and cab configurations. While the base model is equipped with some nice features, but it is always better if you choose the SLE which has more features. Another choice is the SLT which strikes the balance between functionalities and amenities. However, for those who want it all, then the top trim level which is the Denali would be a great choice. The base model comes with some features such as automatic xenon headlamps, 17-inch steel wheels, a six-speed automatic transmission, and power windows. The base model is powered by a 4.3-liter V6 engine which can deliver 285 horsepower. The next choice is the SLE which adds a leather wrapped steering wheel, 17-inch alloy wheels, and a damped tailgate. Of course, the SLE has more features than the base model. The Denali is the best choice if you have some extra money. It adds 20-inch wheels, adaptive suspension dampers, and also unique interior appointments. There is nothing special about the interior. However, switches are easy to use and they are also big enough. There is plenty of space available, thus you can ensure that it is a fun truck to drive. The base model starts at $46,595. As for its release date, 2018 GMC Sierra will arrive in the early winter or fall.